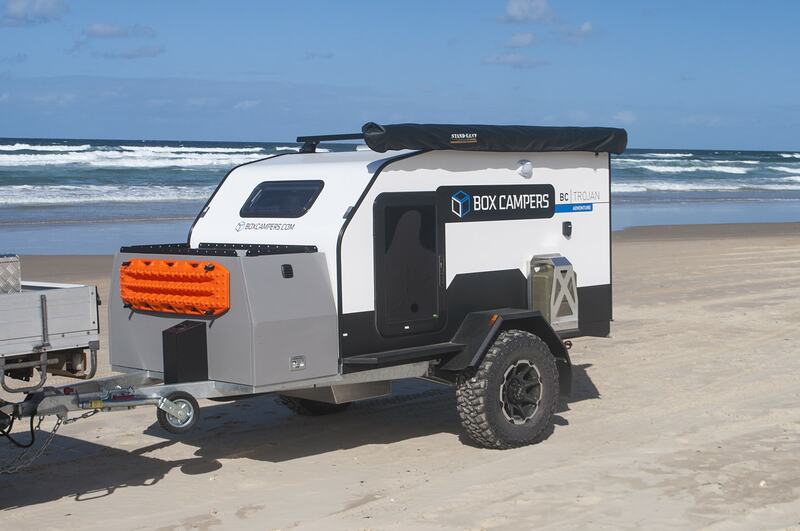 Box Campers has launched The BC-Trojan in August and already, this high end Australian made Off-road Camper Trailer is making a big impact in market. 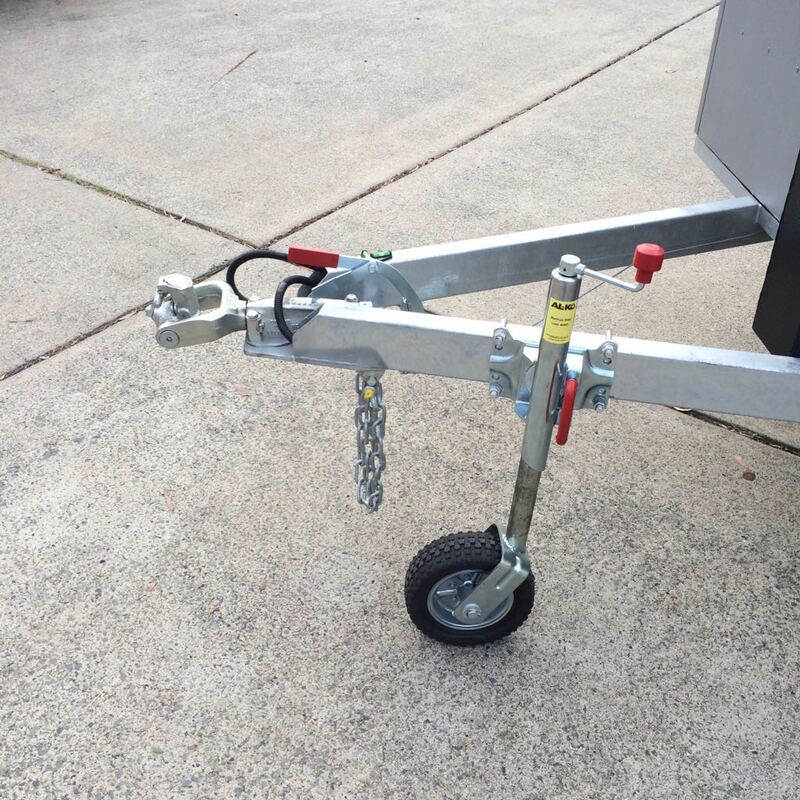 With its sleek, light weight design it’s no wonder this quality built, compact trailer is already in high demand with camping enthusiasts. The BC-Trojan’s hidden secret is in its off road capabilities whilst not sacrificing comfort and convenience. 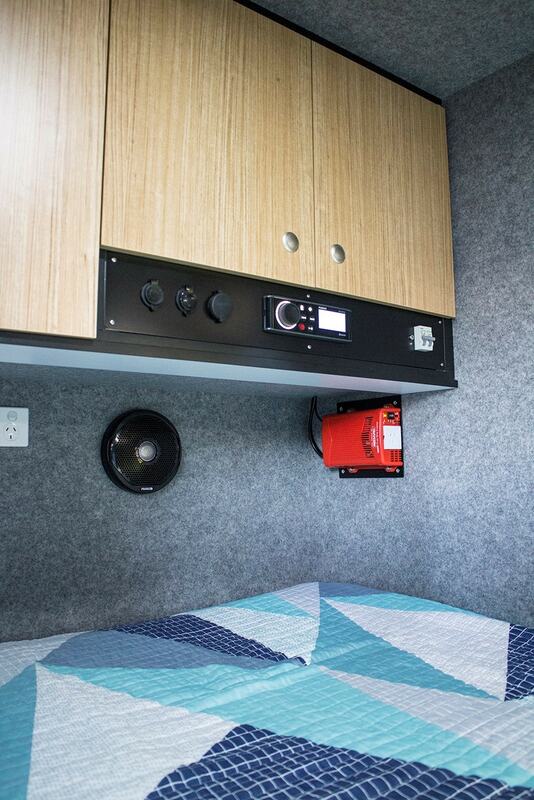 This fully insulated, power packed camper trailer is set up in less than a couple of minutes. Requiring nothing more than opening a door, inside you will find all the luxuries of your favorite hotel room. 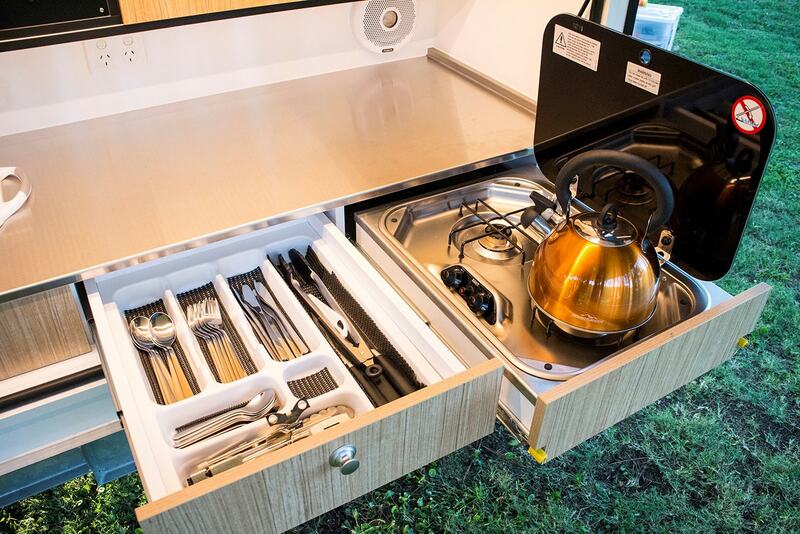 The Box Campers’ designs are a throwback to the 1930’s of trailer travel, where light weights and ease of use were the order of the day. The Box Campers team has taken those early design concepts and brought them in to the modern era, using high tech composite body paneling, high end off-road independent suspension systems and up to date lithium ion electrical installations to keep all our modern gadgets charged and ready to go, oh and did we forget to mention those favorite drinks icy cold in your Fridge/Freezer. 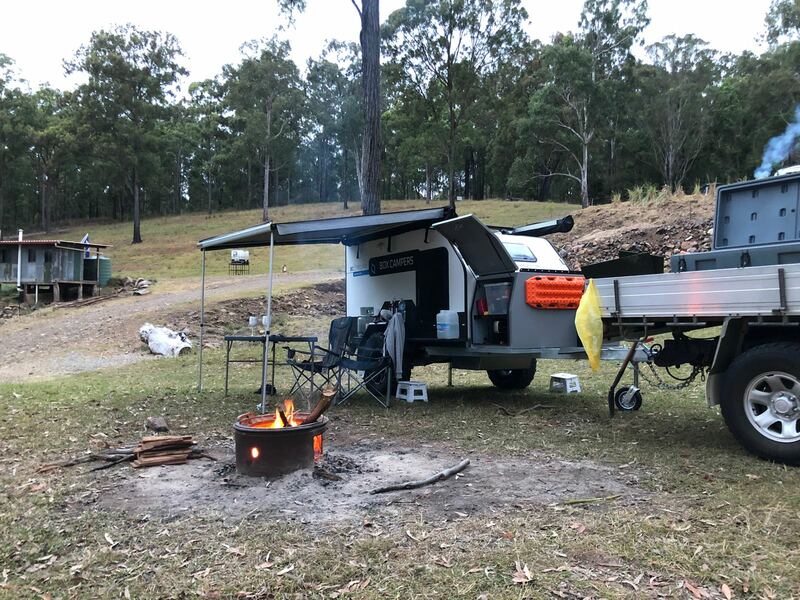 After continuous and ever growing demand in their personal camper, the founders realised their specialised design needed to be available to others who were struggling with the grind of their heavy, complex and time consuming camper trailers. So they enlisted the help of a local racing engineering company to help them refine their ideas. 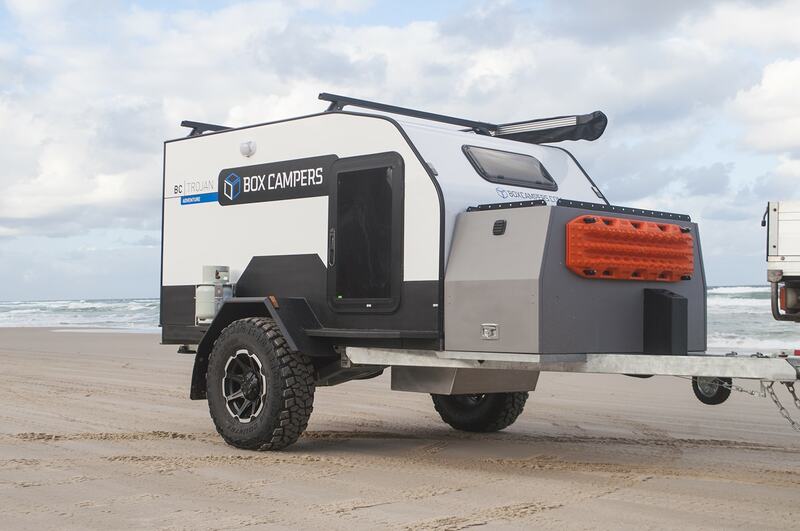 And now – 7 years on, Box Campers is proving that bigger isn’t necessarily better. 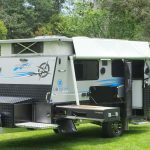 The range is currently 2 models of camper trailers, both of which can be deployed in a matter of seconds at the end of a long day in the saddle or in the most inclement of weather. 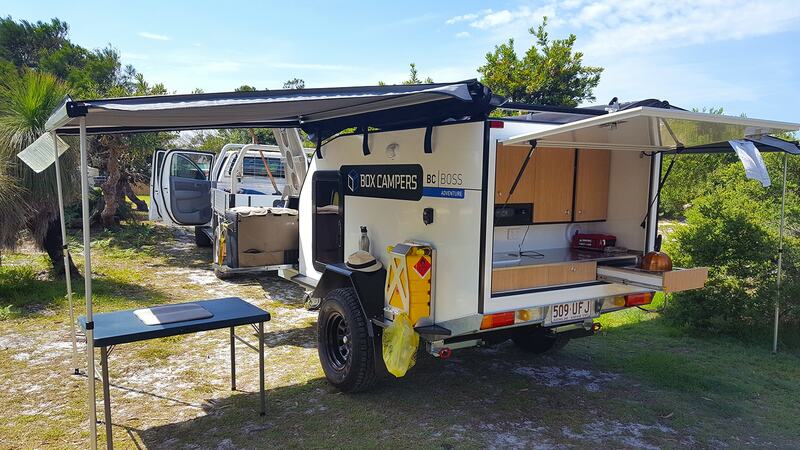 Box Campers is the answer to a mini caravan, offering most comforts of their bigger brothers, only in a compact and very lightweight camper trailer package for “no fuss camping” and “adventuring” built for the Australian outback and its tough off-road conditions. 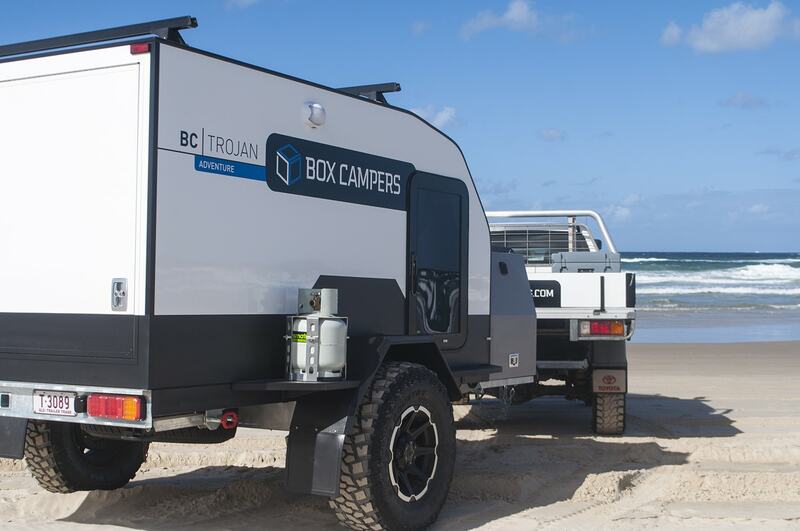 The new BC-Trojan is the entry level camper but by no means a budget camper. Like its namesake The Trojan is more than meets the eye, with great standard inclusions and an impressive payload for carrying all you need to get away. 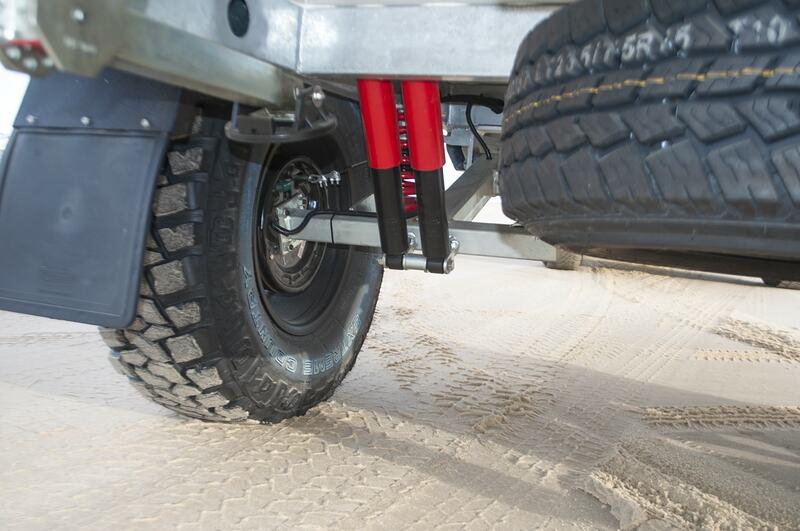 With tare weights as low as 750kg (option dependent), Box Campers have been known to be able to carry their body weight again in payload as they can be optioned to have an ATM of up to 1600kg depending on the purchaser’s vehicle. 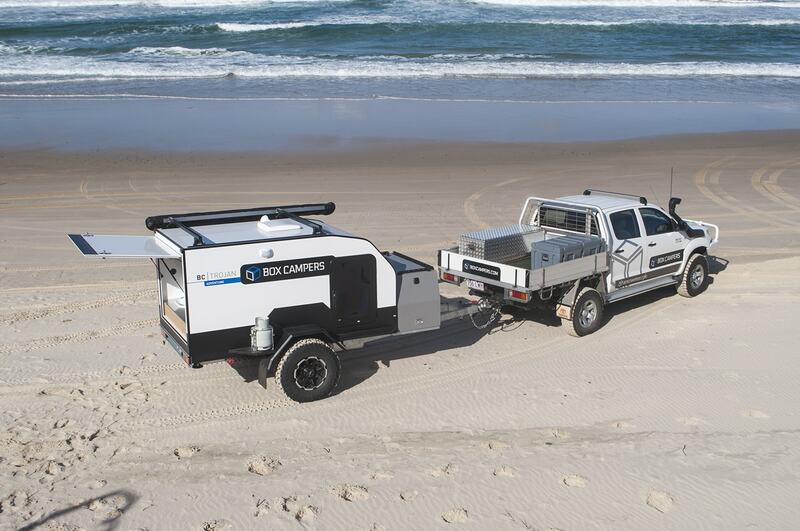 The BC-Trojan alongside with its bigger brother the BC-Boss are some of the lightest trailers on the market in their class that offer full and proper off-road capabilities. 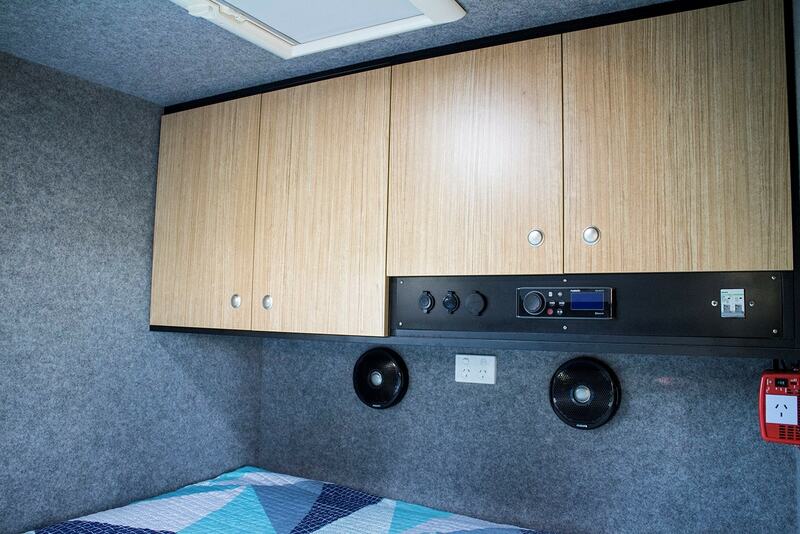 The BC-Trojan starts with a galvanised chassis fitted with Cruisemaster’s XT Coil independent suspension, followed by a fully insulated monocoque body, fitted with a comfortable standard queen sized bed, generous wardrobe space and a Fusion StereoActive for entertainment. 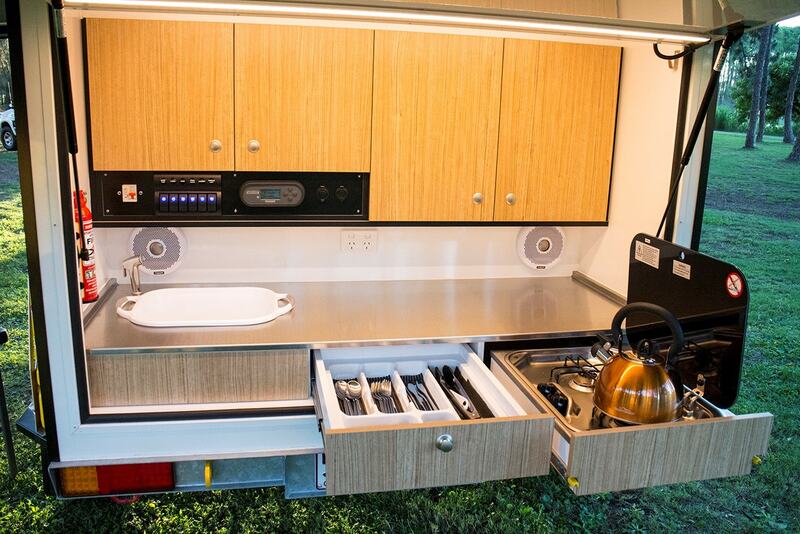 The well-appointed galley style kitchen comes complete with a 2 burner gas stove and sink, 70 Litres of fresh water onboard and a fridge & storage box on the draw bar. 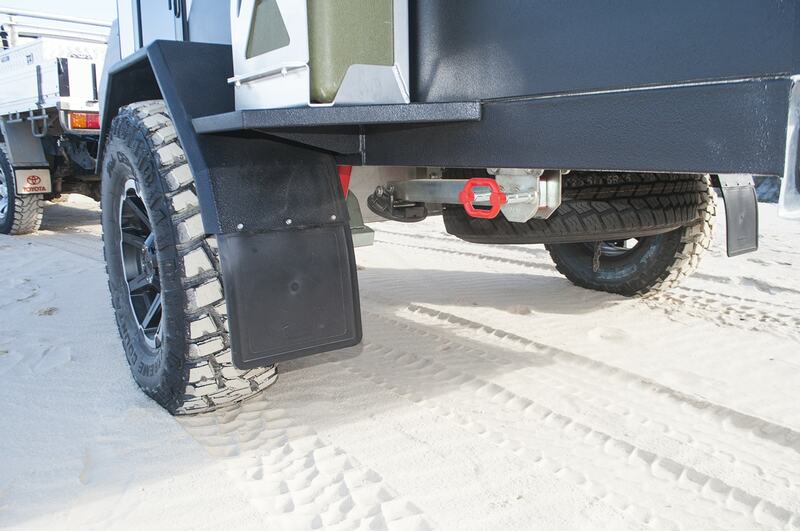 The Trojan also comes with one side awning as standard. Need more? 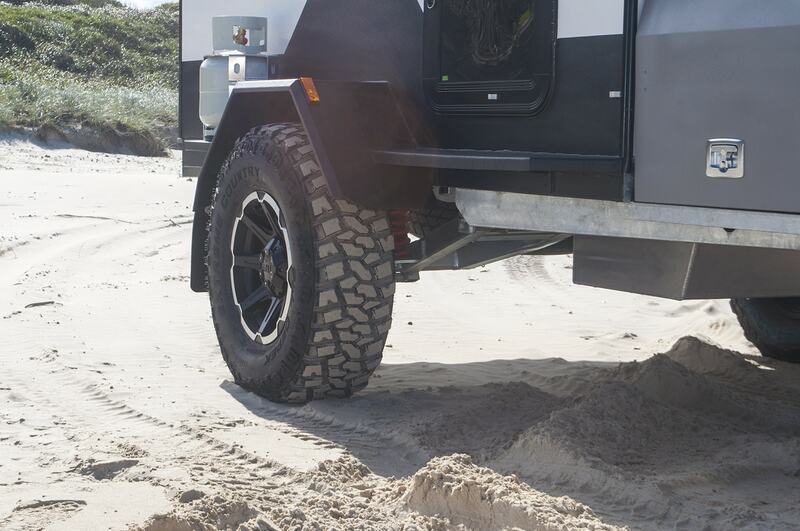 The aptly named “tactical pack” has been designed this year for the BC-Trojan, to add the very much sought after “off-road look and features” to an already very capable off-road trailer. “It’s all in the looks these days”, says Josh the workshop manager from Box Campers. The Tactical Pack is for all the real “off-road” campers who would like to experience the roughness of the Australian Outback to the full extent. 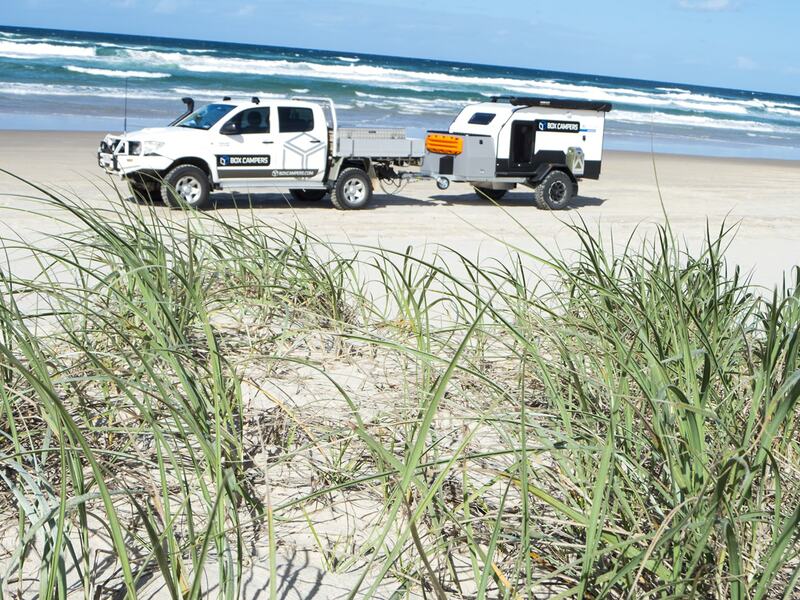 Upgrades include an extra protection shield of Raptor Lining all around the trailer to protect your camper, off-road tyres and alloy wheels, a set of mounted Maxtrax as well as the practical firewood rack mounted atop the front storage box to name just a few. 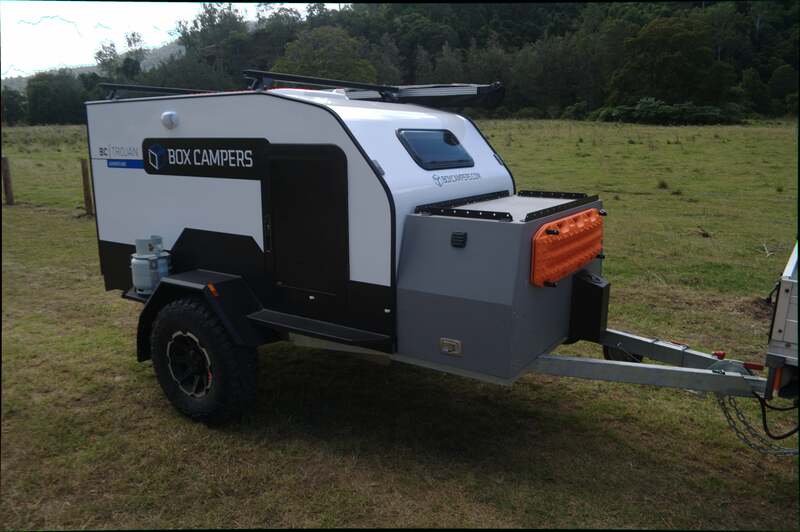 Box Campers certainly stand out for their quality workmanship built in their range of fully Australian made Camper Trailers and take pride in offering a 5-year structural and 10-year chassis warranty. Box Campers are also now offering the ability to try before you buy! 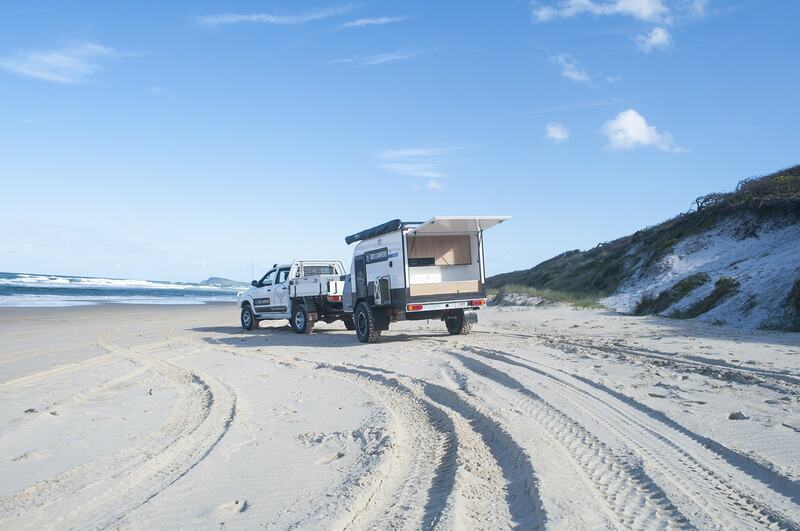 Yes you heard right, with a limited number of trailers for rent through the Camplify platform, prospective buyers can try the camper before deciding to place an order. 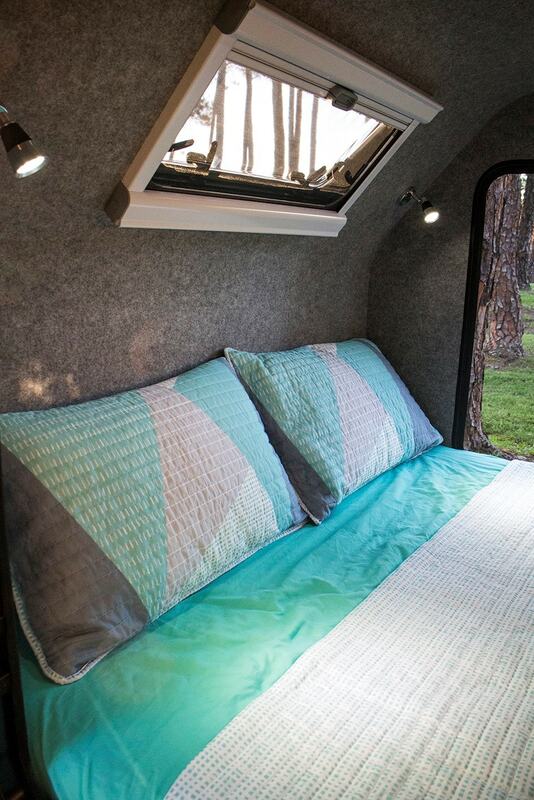 If you decide to buy a camper within 2 months of renting the camper, you will have the rental fee deducted from the purchase price (conditions apply). Box Campers can be contacted via email on info@boxcampers.com or check out the website www.boxcampers.com.